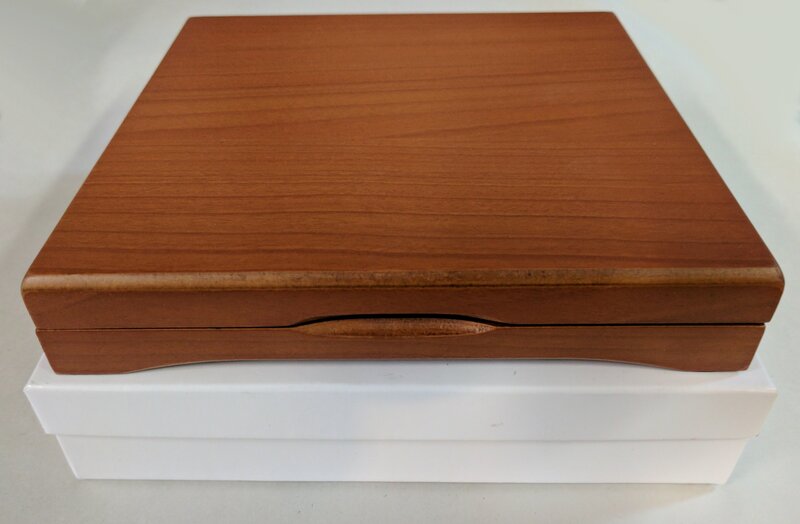 Four Coin Presentation Case Gift Box - 6 1/4" x 6 1/4" x 1"
Home > Coin Gift Boxes > Presentation Cases > Four Coin Presentation Case Gift Box - 6 1/4" x 6 1/4" x 1"
6 1/4" x 6 1/4" x 1"
These cases are manufactured from MDF wood with a laminated wood grain finish and these hinged cases feature a thumb cut area on the front for ease of opening. The cases include an interior bottom reflector card, velour top card, display card and comes in a white protective box. These boxes will secured the coin or medal in an Air-Tite "I" capsule using a foam adapter ring. While best suited for coins of 33-42mm we offer a way to display coins from as small as 13mm to as large as 42mm in diameter. 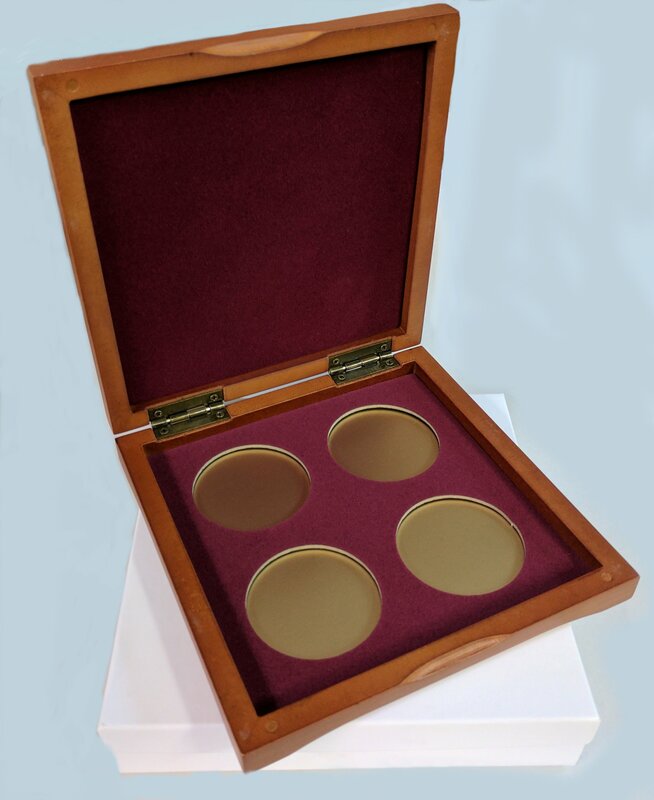 Box measures: 6 1/4" x 6 1/4" x 1"
Five Coin Presentation Case Gift Box - 8 1/4" x 3 3/8" x 1"